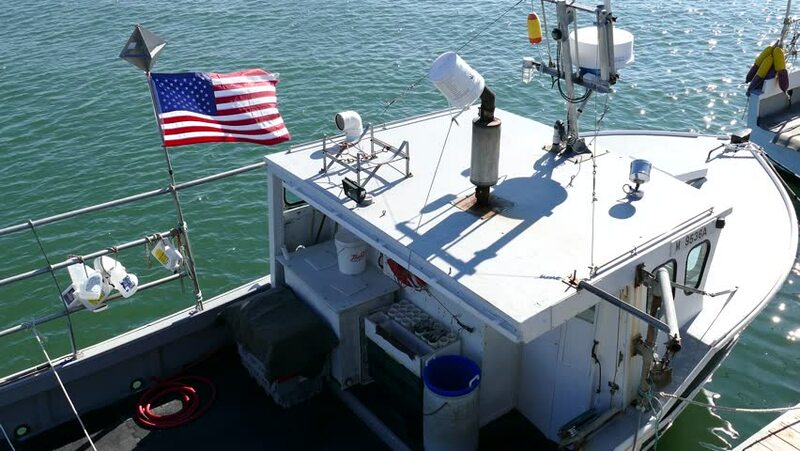 Winthrop Massachusetts, USA - June 21, 2014 - Fishing boat docked at pier shows USA flag waving. hd00:13Retired war ship with American flag flying. hd00:35HOMER, AK - CIRCA 2012: A good-sized fishing boat moves through the harbor, framed by two larger boats at their moorings. hd00:13MUMBAI, INDIA - 12 JANUARY 2015: View on machine weaving decorations on fabric in a factory in Mumbai.